Blossom performing at the Pickathon music festival. All photos by Emilly Prado. At the tender age of 12, Keisha Blossom Rennia Diana Chiddick began touring with her uncle’s steel drum band around the Pacific Northwest. Unknowingly sowing the seeds of success to come, the neo-soul singer had began performing at festivals when she was still too young to drive. With roots in Trinidad and Tobago, Portland became home for the budding artist when she was just five years old. “My dad fell in love with my [then] stepmom and sent for me to come live with them. They met at a Saturday market while my dad was drumming which is extremely romantic,” she told me after her set at Pickathon music festival this month. She goes by Blossom because it reminds her of home and loved ones. Music is in her blood and though Blossom admits not having realized how special it was to learn music alongside her uncle in the moment, she says her time performing with her uncle’s band inspired her to relish in the beauty of music. These days, Blossom’s music is the essence of chill. She has a calm composure that can be felt without words. Onstage, her presence is low key, yet she emits massive amounts of warmth and love. 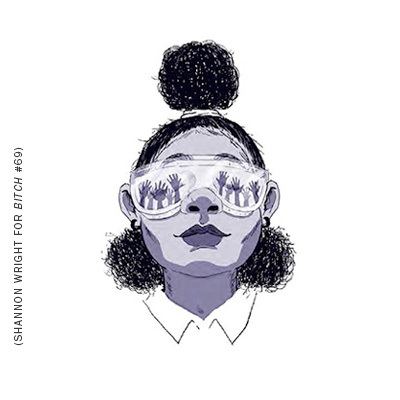 Her style is a throwback to the smoky sounds of a late-90s R&B, rich in jazz influence. 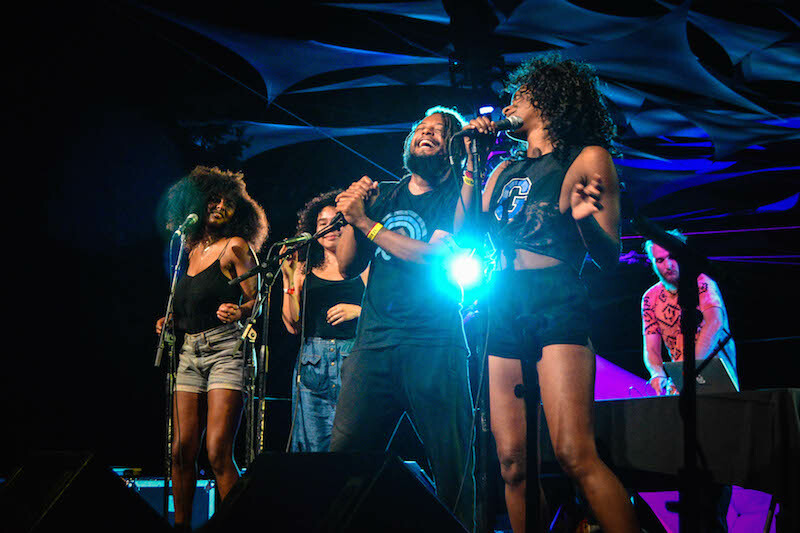 She’s also hooked into the underground hip-hop community—at her Pickathon performance, she paired up with rapper Myke Bogan, who shares her disposition for good music and infectious smiles. 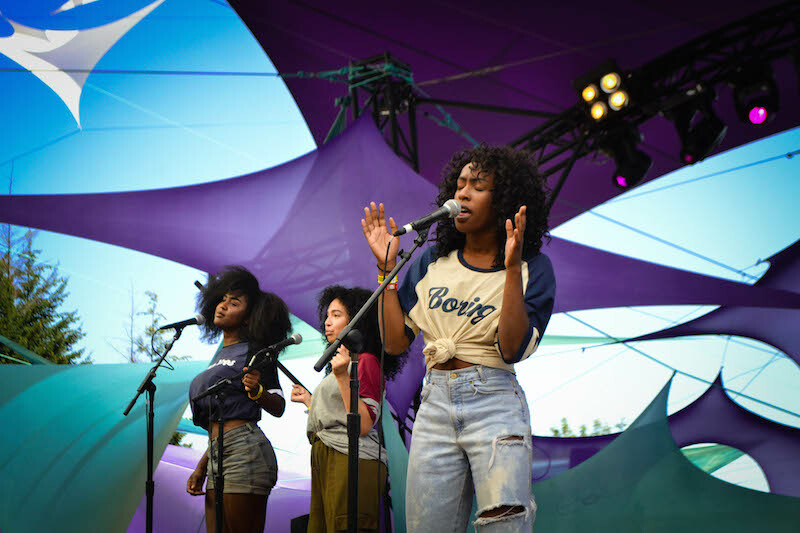 Stepping outside of what’s typical, the duo took well-received turns sharing the stage throughout the festival. Despite her clear talents, Blossom’s independent music career is a fairly recent venture. She explains, “I knew I wanted to write when I started going to local shows and not hearing topics I wanted to vibe to.” Singing back-up for Erik Lanter in 2011 gave her the final push to pursue music as a solo artist. Onstage, Blossom is accompanied by friends Janae Bell and Erika Nathanielz (her former high school classmate! ), who sing in perfect harmony along with her. It’s no surprise that the trio has mastered the formula of vocal chemistry—Nathanielz and Bell will have several cameos on Blossom’s upcoming album. Blossom’s most recent release, Wavves, came out last winter and is her second two-track EP. A departure from her considerably more up-tempo debut, Sass, the record immediately transports listeners to a dimly lit lounge dripping with long cigarette holders. The singer considers the two very different EPs as reflective of her Gemini roots and split personalities. When not writing and working towards her full-length release with Liquid Beat and Eyrst, Blossom plays several shows a month at local venues. She looks forward to traveling and touring as her career grows and hopes that her passion for music continues to stir her fans’ souls. It's nearly impossible to categorize Mal Devisa's music, but genius doesn't need a genre.